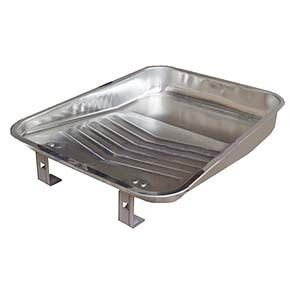 PRODUCT: PAINT TRAY, 11" WIDE, BRIGHT METAL FINISH STEEL. PRICE/EACH. Durable legs keep the tray level. Size: 16-1/2" L x 11" W x 2-1/2" D.